and Alice Mae Combs; and brothers Homer, Everett, Cecil, Elmer, Clayton, Albert, David, and Clinton Russell Nickels. Margie is survived by her husband of 71 years, Lafe Murphy of Lovely, KY and six daughters: Carol Sue (Mike) Williams of Jennies Creek, WV; Diane (Howard) Poland of Fort Mill, SC; Debbie (Mike) Warden of Ajax, WV; Annette (Ron) Picklesimer of Georgetown, OH; Tammy (Darrell) Stepp of Staffordsville, KY; and Rhonda (Teddy) Workman of Stone, KY; and two sons: Lafe Allen Murphy of Lovely, KY; and Greg (Rhonda) Murphy of South Williamson, KY. She is also survived by grandchildren Jason and Joshua Crum; Tracy and Tyler Buskirk, Casey Micha, Allison Jude, and Vicky Howard; Stephanie Warden; Monica Fielder; Chasity Scott, Patrick, Mark, Matthew, Samatha, and Alexandra Murphy; Kelsey, Amanda, and Kristen Workman; step grandchildren Michael Williams, Jr. and Angie Fry; Lindsey and Brandon Itnyre; and Michael Picklesimer and many great-grandchildren and nieces and nephews. Friends may visit at the funeral home on Wednesday, January 23, 2019 from 6 to 9 PM. Funeral services will be held at the Oppy Church of God on Thursday, January 24, 2019 at 1 PM with her nephew Stephen Nickels and Bill Evans presiding. A private burial service will follow at the Murphy Family Cemetery. A fellowship dinner will be held in the church kitchen following service. 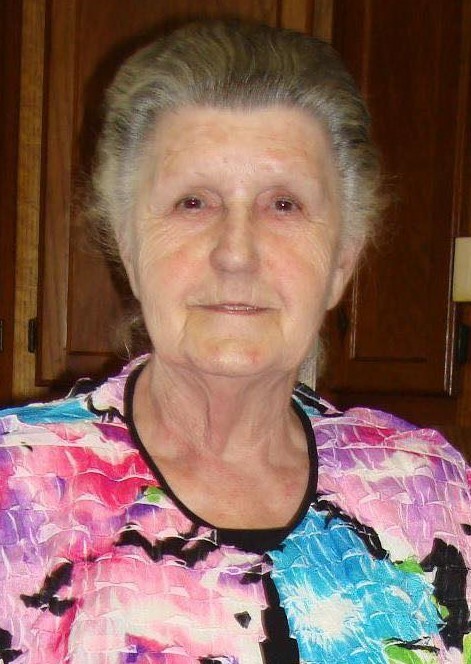 Arrangements are under the direction of Crum Funeral Home of Inez.